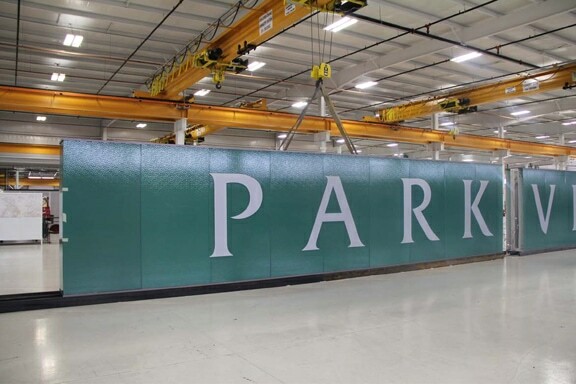 Parkview Health – Fort Wayne, Indiana: The PARKVIEW Primary Campus Entrance Feature (PCEF), which is our ‘placemaker’ for the entire $531 million Parkview health campus development, was designed primarily of layers of very thick, patterned, green glass with subtle wave patterns running from end to end. 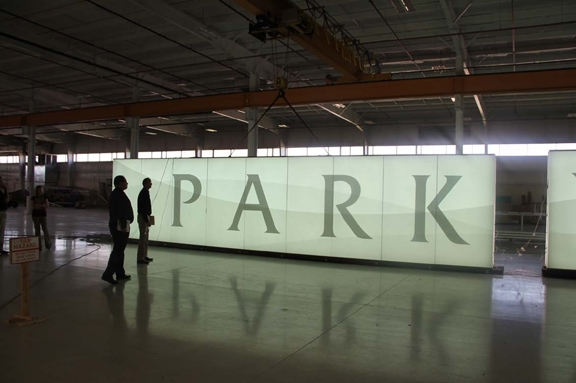 The letters reading PARKVIEW, which identify the gateway into the campus from the south end are a diffused white glass. 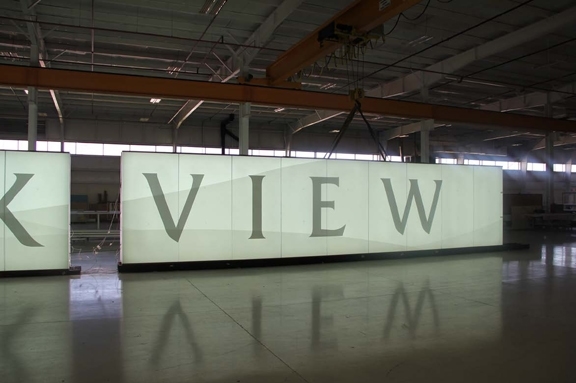 During the day, sun light is our illumination tool making the letters a softer white against the green glass. 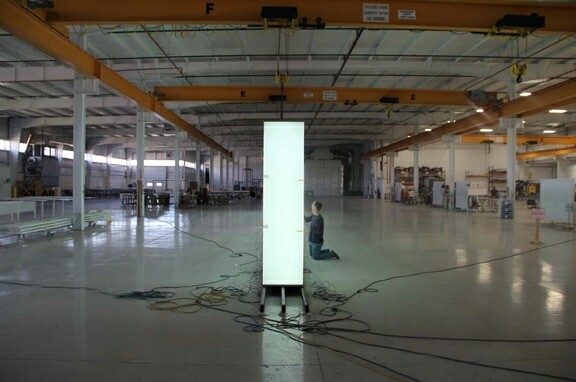 During the evening, the glass comes ‘alive’ from within with banks of cost efficient LED lights. 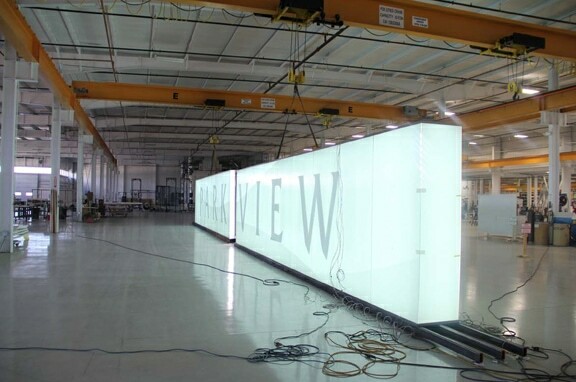 The green glass lights up and the waves become more defined. 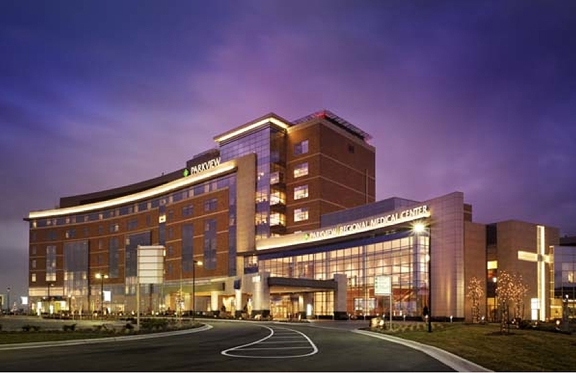 After all, this campus, and the medical center in particular, is open 24 hours a day. 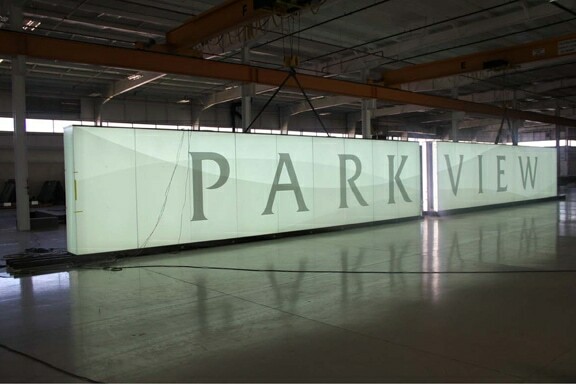 When you light from within, the PARKVIEW letters turn into silhouettes making them darker. 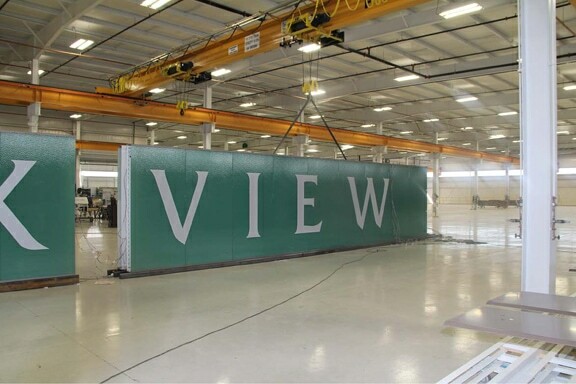 Here are some pictures of the large glass pieces up at Jones Sign in Green Bay, Wisconsin. FMG was responsible for placemaking, wayfinding, environmental graphics, recognition and history wall for this major project.